Harry Styles is 1/5 of the global boy band sensation that is One Direction. Made up of bandmates Liam Payne, Zayn Malik, Niall Horan, Louis Tomlinson and Harry himself, 1D came to prominence in the 2010 series of X Factor UK. Since then they've played to sold out arenas as they toured the world, topped the charts across the globe and broken numerous records. Initially auditioning as separate contestants, the band were put together by Simon Cowell who thought they would stand a much better chance as a group. Simon was proved right as the five boys went on to finish 3rd in the competition. 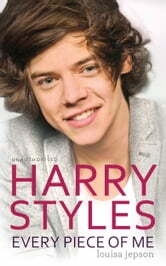 Born 1 February 1994 in Holmes Chapel, Cheshire, Harry is often considered the favourite of 1D fans. Known for his trademark cute boyish looks and gorgeous curly hair, girls all over the world are falling head over heels in love with him and will do anything to get his attention. 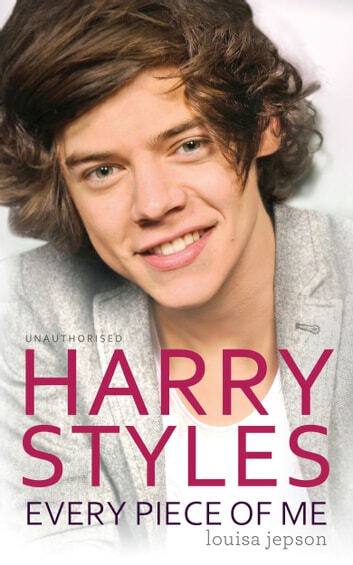 Lifting the lid on life as a member of the world's biggest band, this is the inspirational and sensational story of a how a boy from Cheshire followed his dreams to become an international star and heartthrob to millions of devoted fans.